Last Saturday, the women’s Track and Field team traveled down to Cambridge, Mass. to compete against MIT and Colby for their first meet of the indoor season. This meet served as an ideal opportunity for the Bobcats to show their abilities after several weeks of preseason training. The meet ultimately resulted in Bates finishing with 117 points, beating Colby’s 60 but coming in second to MIT’s 155. 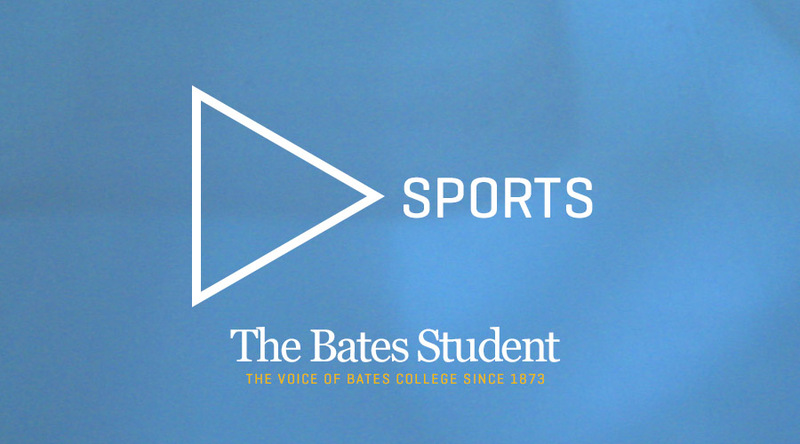 In addition to this strong team showing, many individual athletes put forward impressive performances in various events, with seven of the events being won by Bates. The sprinters had multiple successful races. With a time of 27.58 seconds, first-year Rebecca Willis ’22 won the 200-meter dash handily. Sophie Matt ’22, another first-year, ran 1:02.61 to win the 400-meter dash, a great start to her indoor track career at Bates. The 60-meter hurdles was also dominated by Bates, as sophomore Amanda Kaufman ’21 crossed the finish line in first place at 9.33 seconds, followed by Willis in second place at 9.54 seconds. Distance and middle-distance runners had a good showing as well. In the 1000-meter run, senior captain Ayden Eickhoff ’19 won with a time of 2:57.19, breaking her own Bates record from last year (2:57.24) in the process. This continued improvement bodes well for the rest of the season. Additionally, the 600-meter run saw terrific opening races from Bates; although the first place spot went to MIT, first-years Elise Lambert ’22 and Mary Corcoran ’22 gained second and third with times of 1:40.52 and 1:41.39 respectively. There were also notable performances in the field events. Senior captain Katie Hughes ’19 took first place in the shot put by throwing 11.16 meters. Hughes also won the weight throw with a distance of 14.42 meters. Sophomore Genesis Paulino ’21 gained third place in both events as well, throwing 9.90 meters in the shot put and 13.28 meters in the weight throw. In jumps, Kaufman took second for the long jump with 5.01 meters, and Lambert overcame 1.53 meters in the high jump for second place. The Bates team for the 4×400-meter relay was victorious with an overall time of 4:12.8. Senior captains Sarah Shoulta ’19 and Andrea Russo ’19 along with sophomores Kaufman and Imani Boggan ’21 put forth the speed, effort, and teamwork necessary to beat out MIT in the end by just under two seconds. This exciting meet revealed a determination and growth on the team that will hopefully carry on for many meets to come. In just their first meet, four first-year athletes qualified for the New England Division III Championship. Willis’ performance in the 60-m hurdles, Lambert and Corcoran’s efforts in the 600-meter run and Lauren Berube’s ’22 mark of 3.10 meters in the pole vault each earned them the opportunity to compete against many other talented athletes in New England. Last Saturday, Sept. 30, the men’s cross country team ran a strong race at the Saratoga Springs Invitational, hosted by Rensselaer Institute of Technology (RPI) in Saratoga Springs, New York. Bates placed second out of 16 teams, losing only to the No. 7 nationally ranked RPI, 54 to 37. On January 4, Bates hosted the 50th Maine State Meet Indoor Championships. While the Bobcats put forward a solid performance, it was not enough to overcome No. 20 Bowdoin. The men’s track and field team set a high standard in their first meet of the season against MIT and Colby, placing second to MIT with a tight score of 149-140. This disparity of nine points marks what is likely the best performance Bates has shown at this annual meet against MIT.